Avishag brings more than a decade of experience in tech venture financing, private equity and business development. She was named in The Marker 2016 list of 40 most successful promising business leaders,She had worked in the founders group in Tel Aviv, where she managed a portfolio worth $2.3 billion in VC and private investment. Originally going into VC because of her interest in impact investment, when Avishag started managing Founders groups’ portfolio, she didn’t know anyone in the VC industry in Israel. As part of the values she learned at home, she did what she usually does when she arrives to a new place; she started helping people. After meeting a lot of people in the industry, she realized the investing the time to make a phone call to every entrepreneur she had to say “no” to, instead of sending an email templates like most of the investors do, is pretty rare. And even some of her colleagues called is “not sustainable”. In this conversation we talk about the added values feminine leadership brings into the VC world, the reason the way VS’s are managed today doesn’t suit women and having women lead the revolution- the only way for real change. In the end of the episode, one of us said: “I feel empowered”. and the other replied:”Me too”. 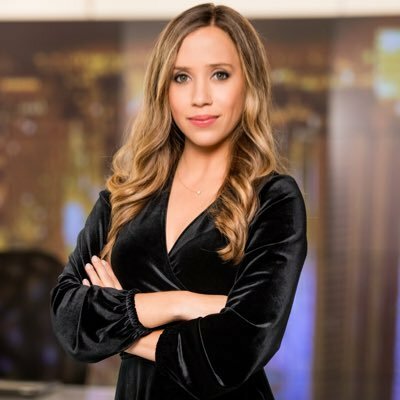 Adi Karmon Scope has two hats; she is the Co founder of fractal boutique, assisting companies in the blockchain industry doing their ICO’s, and is also the founder of the Six Movement , which believes that people should work no more than six hours a day. Coming from the corporate life, working 12 hours a day and climbing the ladder, Adi was feeling happy about her life. As she grew older, became a mom and got to know herself and her needs deeper, she started feeling conflicted with the idea of spending most of her life in an office. She became an entrepreneur, building companies in the fields of online marketing and virtual coins. As a founder, she started experimenting with managing her and her teams’ time to fit the six hours philosophy. Nowadays, she calls the six hours her religion, and is managing her life in intervals of six; six hours of work, six hours with her family, six hours with time for herself and personal duties and six hours of sleep. Although she works in a very demanding industry, her clients and her teams are all aware of this policy and this doesn’t influence her income- to the contrary, Adi believes it gives her a competitive advantage. In this conversation Adi talks about the reason everyone should move into the six hours work day, the change one needs to make in one’s life to fit it, and the importance of free time to fulfill our potential as human beings. This is an episode for anyone who feels overworked and wants to get exposed to a perspective that can change that. Loren started his music career at his teenage years when he started playing the guitar and than served in IDF’s orchestra. After the army, he went to pursue his music career in New York as a singer songwriter and got to work with famous musicians such as Steve Jordan and more. Four years later he came back to Israel and started producing and writing songs for the most well known artists in the country, including: Eyal Golan, Moshe Peretz, Ivri Lider, Shlomi Shabat, Rita and more. In our conversation he talks about the process of realizing music is his full time commitment, probably for the rest of his life. We talk about making a living from music, about working hard for leading in your field and about focusing on our passions. And… there is a surprise in the end. This is an episode for people who thought art could only be pursued as a hobby. Maya Wertheimer is an actress and a personal trainer. From a young age she always dreamed of being an actress. Choosing personal training came as a surprise. At the age of 17, Maya was injured in a hit and run accident, and was on a wheel chair for several months. After a challenging process of rehabilitation, sports and yoga gave her back her power and confidence. Growing up as non athletic, maya realized the power of sports for empowerment and health and wanted to pass it forward. In our conversation with her we talk about the process of succeeding in acting; from being unknown to having followers and the advantages and challenges of pursuing two careers. Do you sometimes feel that you wish you could make a living from something more meaningful and impactful? So did Tamara. Over a year ago Tamara Cohen decided she's moving to Israel after having a successful production career in LA, New York and London that included working with leading brands (MasterCard, Gillette, Converse) and leading artists (Bob Dylan, The Rolling Stones, Mumford and Sons). Although she was successful in her field, she decided she wants to transition to a field that has more meaning to her. She wanted to build a social enterprise and she knew that Israel will be the best place for her to find her co-founders. The rest was unknown. She left it all and started a process of exploring a path that is led by a social mission. After meeting dozens of social entrepreneurs, impact investors and organizations - she decided the best place for her to build something meaningful is to move to Israel. Today she is leading a social business she co-founded with 2 partners, they already received an investment from a leading firm, yet the startup is still in stealth mode, so stay tuned. In this episode we talk about the definition of social impact, how do you combine "doing good and doing well" through building businesses with social impact, and about the personal transition process Tamara did that included moving a country, changing industries and becoming an entrepreneur in the peak of a different career. If you want to start working for a social impact mission and not sure what it means and what should you notice while you build yourself in this field- this episode is for you. Stephie Knoppel is an entrepreneur, founder of PersonalHeroes with 12 years within Advertising industry and innovation in different countries. She is a "cool hunter" (listen to episode to learn what it means) and consults companies around the world. When Stephie's startup got accepted to a prestigious accelerator in the Silicon Valley, she decided to move there. As all places, The Valley, represented as the best place in the world for growing a startup, is not for everyone. And after several months, she felt how much this relocation was harming her, hence harming her company. "It's sustainable till you want to be authentic with yourself"
In this episode we talk about the Emotional Bubble of Silicon Valley; the challenges of relocation, about not being authentic with yourself while building a company, about loneliness and peer pressure and business. And the freedom one feels once choosing himself. This is an episode for people that want to live an aligned life- professionally and personally. "When you reach the age when you have less birthdays to come than what you celebrated, you start asking yourself what is the life I wanna live?" Debby Luzia, 58 years old, calls herself an "art multi-potentialite". Eighteen years ago, on her 40th birthday party she told all of her guests: "Hold on the ride is beginning" Since than she has been busy; She owns Stern art gallery in Tel-Aviv, She is author of the book "Why the Mona Lisa lost her smile - a behind the scenes review of the art world and is also an art correspondent for the Lady Globes magazine and talks about the art world on two channels on Israeli television. She is constantly working on developing new ventures, collaborations and content pieces in the art world, she is sharing with us in this conversation plans about a documentary, working with the BBC and spreading her work in Asia. In our conversation with her we talk about Debby's unique approach that allows her to reinvent herself again and again, that the world doesn't belong to the youngsters and how the new world is giving all of us the opportunity- at any age to make the life we want. Listen to this episode if you need inspiration to go out of your own box and if you ever considered age is a limitation. Nadav Embon is the creative director at the Israeli public broadcasting corporation. His path leading to this position was quite unusual; A few years before, when Nadav realized that being a freelancer isn't for him, he felt stuck. It was more than a year that Nadav was not motivated to pursue more projects and was sick of all the responsibilities outside of the real work that come with being a freelancer. In the beginning he tried to ignore the feeling and continue business as usual since it was after several years of being a successful animator, leading big projects in the industry and making a living out of his skills. When it became impossible to ignore, he start a journey of self discovery to realize what it is that he wants to do next; after taking some workshops and talking with a few people he appreciates, he was able to identify the most important features in his next career step and following that to identify and approach the opportunity that is aligned with it. In this conversation we talk about the different steps one can take when looking for a new start, Nadav's unique journey, the real challenges of being a freelancer that people don't talk about and how to identify the right role for you that answers your needs. Listen to this episode if you are looking to do a career shift that is based on your real needs. Eido Minkovski is a strategic and media consultant to some of the biggest high tech companies in Israel, including: Soluto, AOL, MyHeritage, Outbrain and more. "PR is not physics, it's simple: connecting people, thinking about ideas for stories and working hard. That's all." Coming from the background of night clubs and than IDF's spokesperson- he realized that connecting people is his biggest skill and decided to devote himself to the profession. He was than the spokes person for Haifa's municipality, until one day during a meeting the municipality had with an high tech company, the CEO was so impressed that he convinced Eido to leave the municipality and come and work with him. Since than, Eido built his own company and he's on his way to the top. "I want to be the biggest firm in Israel"
In our conversation we talk about the relevance of PR in the world of new media, failure and the feeling of being an extrovert and needing to stay behind the scene, behind his clients. "I want to make a difference and speak about what I believe and I will do it everywhere I can." Ishai was interested in making a political difference for many years. He went into the academia because he wanted people not to be able to tell him that he doesn't know what he's talking about. And he really went for it: He teaches law and public policy at University of Oxford's Blavatnik School of Government. In addition to that he played a role in the Israeli politics by supporting politicians: He was the chief speechwriter to the President of Israel, Shimon Peres.He was Chief of Staff to the Speaker of Knesset, Chief of Staff to the Acting President of Israel, and director of the economic advisory team to the Head of Opposition. As part of his current pursuit to transition from academia into front-row politics, which he defines as: "becoming relevant in the Israeli discourse", Ishai is initiating projects (still in stealth mode) that will strengthen weaker populations in the Israeli society. In this conversation we talk about what is a "good" politician, the power struggles that exist in politics and the various ways that exist today to make a political difference. Adi Altschuler about becoming a mom for the first time. "It's not only about breastfeeding, I'm nurturing a baby." 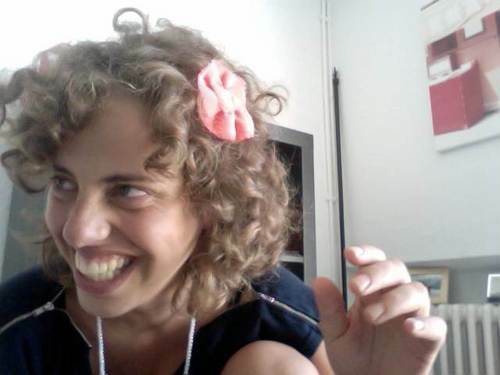 Adi Altschuler is a known entrepreneur in Israel, she founded Krembo Wings, Zikaron Ba Salon and is working in Google. Being used to lead many things at the same time, and investing most of her time in promoting her social projects, becoming a mom a few months ago, created a lot of change in the way she experiences life, career and her priorities. In our conversation with her she shares about some of the wrong assumptions she started with, the corrections she made on the way and invites additional women to take the leap into motherhood. Nilli is the Co-Founder and CEO at VCforU, a technology platform that provides tools for entrepreneurs to create material for investors; and helps investors get the best deal flow. VCforU offers entrepreneurs a questionnaire that automatically transforms into a concise and designed one pager that sends a clear message to investors. In this episode we talk about the common mistakes entrepreneurs make when building their investors deck, the most important things to include and additional golden rules that can help any person that is currently working on presenting his business to investors. Lior Frenkel about Thought Leadership in the New World. Lior Frenkel is the Co-Founder of nuschool, undigitize.me and author of the book "I want it all". He gives talks, does consulting projects and and manages the "new world people" community. All of his work is focused about the way to make a living and fulfill yourself in the new world of work. Each one of Lior's projects is created and managed in a community focused model which is constantly engaging its followers offering them products, benefits and igniting discussions. "Your career looks more like campaigns than projects. We call this profession of yours, being a thought leader." Hearing this definition Lior smiled and said: "I'm not there yet". In our conversation with him we talked about his path of becoming a thought leader, his thesis about the new world: "All the knowledge our parents taught us about how to make it in life is no longer relevant" and about what is relevant for one to know for making a living and being happy in today's world. "What am I? A podcaster? An engineer? An author? A business owner?" Ran Levi's podcast, "Making History" is the most popular podcast in Israel with million of downloads. His company is a podcast network which is offering popular podcasts in various topics and successfully monetized by selling relevant ads. That is the result of Ran's focused effort. In the past, Ran used to podcast late at night, after coming back from his day job and putting his kids to sleep. "I paid a big personal price for trying to do everything: for eight years I kept my day job as an engineer, gave talks, wrote two books and had my podcast." In this conversation we talk about the illusion of the times we live in of being able to do everything, the professional and personal price one is paying for not choosing and how to choose your main focus; one step at a time. No one loves choosing, even Ran says that "If I could still do all of these things I probably would" but for making history (double meaning) we must choose our main focus. Join us. Make a choice. When Asaf Zamir was a kid, his answer to what he wants to do when he grows up was simple: " I want to be the prime minister"
30 years later he is the first Deputy Mayor of Tel Aviv municipality, leading the "Rov Ha Ir" party which he Co Founded and heading the education department in Tel Aviv. When it comes to managing a city, most people would say that leading education is the most challenging and important topic to lead before becoming the mayor. Today, when asked about running for national politics he says that Israeli politics is too much of a sacrifice for him; one must sacrifice values for joining one of the existing parties. "What gives me passion os seeing things I believe in actually happen" which is the biggest advantage of being in local politics- your immediate impact. In our conversation with Asaf we talk about his career path, his feelings towards his work, the yes and no's for going to the private sector and his dynamic definition of success. In the middle of our interview he mentioned it is the first time he was being asked these questions- so even if you heard Asaf before, we invite you to get to know him on a deeper level. Rinat Kapuza about: Should your colleagues care about what you do in the bedroom? "Everybody just assume that everybody is straight"
Rinat Kapuza came out of the closet on the same year she moved to Tel Aviv and entered the tech world. She started as a receptionist and climbed the professional ladder; today she is the HR director of Cybereason a growing company with over 300 employees. In our conversation, Rinat is sharing with us her personal journey of coming out of the closet, and we discuss about the role the work place is playing in supporting people from the LGBT community. Should one talk about his sexual preference in a job interview? How come data shows that lesbians are doing better at work than straight women? We talk about these questions and additional ones with brutal honesty. Lior Tavori and Tal Wolfson, both served as senior economists at the Israeli government. Nowadays, they are partners in a successful business, creating economic thought pieces for organizations and are sharing their thoughts and learning in one of Israel's leading podcasts. Both their business and their podcast are called: "Added Value". In our conversation with them we talked about the excitements and disappointments they experienced in serving the public sector, about the kind of economical impact they can make in the private sector and about the different career possibilities one can develop in the field of Economy. "Sometimes women tend to imagine things. Especially when they're pregnant." This is what Sara Tancman's doctor told her at the hospital, when she came to examine the situation of her twin embryos since she felt something was going wrong with the pregnancy. She was on her 5th month and since she knew better than that, she decided not to listen to the doctor and went to the emergency room. That day she lost her babies. Contemplating what the doctor told her: "Nothing is wrong" and that "Women tend to imagine things" Sarah realized her mission in life was to influence the way the health system is interacting with women. Sarah always wanted to work for social change, and this incident exposed her to a problem that is not being addressed. Previously working as an analyst in a governmental office, and now working in leading a change in Israel, we are talking with Sarah about her life changing incident, the major shift she did in her career and the different resources this kind of career requires. Roei Deutsch is the Co- Founder of Jolt, a market place for live talks, given by industry professionals to teams that want to foster a culture of continuous learning. Jolt's thesis, called "Chapterships", is built on the fact that millennials, while looking for a job, prioritize learning and growth in the work place. Rather than trying to retain employees, employers should acknowledge this need millennials have, and integrate work and learning opportunities in the work place. 91% of millennial employees say they don't expect to hold a job for more than 3 years. "Chapterships" is a methodology Jolt developed that gives an answer for this challenge by redefining the employment deal. If you ever felt guilty by being bored in your job and wanting to pursue a different path every 2 years, you should listen to this episode, and start feeling good about yourself. You are not abnormal, you are a millennial. Jackie Donner about the future of flexible work. Work from whenever and wherever you want. Jackie Donner is an oxford graduate and has been a lawyer for 15 years at top firms in London and in Israel. She was on her path of becoming a partner in the law firm she worked for and than....she gave birth and became a mom to three amazing children. This transition made her feel the glass ceiling of her career: she had to choose between getting promoted or spending the enough time with her children. Over the years it is what made her co-found:"Law Flex", which is following the trend of flexible working and allowing lawyers to continue to serve top firms on their own terms, working from wherever they want and whenever they want. Today law flex is serving 130 lawyers and providing law services to top firms all over the world. This episode talks about work life balance, the future of flexible work and the challenges and opportunities that being a parent brings to your career. Shiry Zofnat about the new world of Real Estate; from Buildings to co-living communities. Shiry Zofnat wanted to be a builder ever since she was a child. Her long career included working for Donald Trump, WeLive and renovating world known hotels, including the Chelsea hotel in New York. In some of the companies she worked for she was the first female engineer hired, and was the only female on the site. Asking her boss to: "not treat her like a girl", she became an excellent engineer and her career was blooming. But for her it wasn't enough, she wanted to become involved in the business side and initiating projects, and this is how she started working with Donald Trump, and later joining other big projects, managing assets of over 1billion dollars. Than she decided to follow her heart, and move to Israel. Where she could go deeper into her passion; co-living. In this episode we talk about the new kind of real estate and the opportunities it brings. Yaniv Rivlin about his mission oriented career; Shaping people's perception about Israel. Yaniv Rivlin, which is heading the Schusterman's foundation REALITY trips; delegations for Israel for young leaders from around the world, decided to take upon himself one of the hardest missions: shaping public perception about Israel. Growing up in Katzrin and feeling his horizons expanded when he went to study at Harvard; Yaniv got exposed to the immense potential a cultural experience has for changing people's perception. Yaniv believes these cultural experiences are one of the answers to Israel's problematic image around the world. He has been pursuing it ever since and is determined to continue and scale his impact following the same mission. Josh Eichenbaum - "Planet, People and Profit- What comes first? There is only one number 1". Can you make money from your Passion Projects? From music studios, to acting, to conservation projects in Africa; Josh Eichenbaum succeeded in a bunch of mini careers along his journey. While pursuing all of them, Josh kept dealing with the same question; How do you make money from art and social projects without compromising on your integrity and priorities?. “The moment I would rely on acting for making money, it would transform from an artistic pursuit to a trial to make a living.” Making money while maintaining a pure intention is the ideal all creatives are longing for. Join us for this discussion, in which we use the word "money" at least 30 times. Daniel Goldstein is the head of business development at Innovation Endeavors, Eric Schmidt's venture capital firm. The fund is managing a portfolio of over 100 companies and she is leading the fund's business development efforts via partnerships with companies such as: Nasdaq, Target, Michael Kors and more. Daniel always loved connecting between people and creating value for them; a few years ago when she did BD for one startup, she was looking to scale her impact by using this skill and passion of hers in a platform that can serve a lot of start ups and reach a lot of value. She started as community lead in Innovation Endeavors. As community lead she was creating events for founders to connect them to each other and to opportunities that can help them grow their startups. Constantly looking to add more value and scale her impact, and noticing that her impact is limited as long as her title and responsibility remains "nice to have", Daniel created a position within the fund which is bridging between business opportunities in New York and the portfolio companies. Nowadays, Daniel and her team are helping the firm grow by connecting it's early stages startups to customers, talent and investors which lead to million of dollars in revenue every year. . In this episode, we talk about the way to get promoted generally by constantly adding value, and specifically in the VC world. Following 7 years as a team commander in the Israeli Air Force Commando Unit, Shachar went on to create a coffee chain in the Balkans. Being successful as a restaurant owner and not imagining himself doing anything else, Shachar experienced a hard breakup from his girl friend which led him to take a "short vacation" with his friends that completely changed his life. The short vacation became 2 years of studying at The Pyramids Del Ka, an Egyptian mystery school specializing in lucid dreaming, meditation, and Kabbalah studies. During this exploration he experienced long periods of isolation and undertook intensive silent retreats of 40 and 90 days where he discovered the importance of direct connection to our life force. In the beginning, Shachar planned to combine between business and spirituality; offering mindfulness workshops to businesses. He was on his way to do an MBA till he got exposed to "Sexual Shamanism". Today Shachar is one of the leading sexual shamans in Israel, he is leading workshops around the world and have hundreds of students. Today Shachar is combining all of his different skills in his workshops business, what allows him to easily connect the different dots in his career journey. If you want to learn more about Sexual Shamanism and get exposed to a very deep career transformation, this arousing and deep episode if for you. Maya Shoef is an Israeli actress and is most famous for her roles as a protagonist of the Israeli television series Split and Alex: Pros and Cons. After moving to New-York to study at the "Stella Adler Studio of Acting" she decided to come back to Israel, mainly because she missed her family and friends. From a professional point of view, Maya's decision to come back to Israel was a sacrifice. No one wants to feel like he's going backwards, especially not Maya. This situation forced her to expand her horizons and to open up to another passion she was never aware of. In this chapter she talks about this transition, about having a multidisciplinary career and the opportunities and challenges it brings to her life. Leading an extraordinary career in the Israeli media and as a demanded moderator in international conferences abroad, Dana Weiss is sharing about her uncompromising journey for self fulfillment in the traditional media industry, how she re-invented herself and created opportunities for herself to become demanded abroad- all for the sake of staying loyal to her career vision and not being led out of fear. In this episode we discuss this career era where the power for creating our own careers is ours- but with this great power, comes this great responsibility. We officially declared Dana as a career yogi. Highly recommended. Imagine you are fulfilling your professional dream and you know that soon you will become "too old" (in your 30's) and you will have to start making a living from a different profession? Athletes, models, actors and even positions in tech all share the career challenge of having an expiration date. This leaves these professionals no other choice but to reinvent themselves in the middle of their lives after a meaningful career. These days, having this skill, is more important than ever. In this episode, Arik Ze'evi, a retired Israeli judoka , widely recognized as the country's most prominent judoka during his career. shares about the challenges of reinventing his career and about the whole new world that was opened to him while he continued to follow his passion. Some people will tell you that for reaching the top of a mountain, you need to first know exactly which type of mountain, than plan the exact route you're taking- and the more stops to the top you're aware of in advance- the better. Other people will tell you that it's enough to know you want to reach the top of a mountain and every moment along the way- all you need to do is just to plan your next step. Both of these opinions are probably right- but when it comes to your career, which of these approaches is right for you? In this chapter, Liat Aaronson, Chairwomen of the Zell entrepreneurship program and Partner at Marker LLC is talking about her style of career building (and mountain climbing) and both the opportunities and challenges her path had for her. In this chapter we will discuss the tendency of people to put each other in a narrow box professionally which is easy for them to understand (e.g- an analyst, a coder etc. ), while these days most people feel what they do is much more than a narrow definition. We will talk about the places where this box can serve us and the other places where it can limit us and prevent us from doing the things that we really want to do, just because we feel the need to stay consistent with the box other people gave us. Our guest, Avner Stepack, is leading one of the largest investment houses in Israel, and dedicates a meaningful part of his time to lead in additional fields; fashion tech, NGO's supporting people with disabilities and more. Although these fields don't fit into a normal box and sometimes even appear to create conflict of interests, Avner's first priority is to maximize his impact on the Israeli society and to fulfill himself. In a very honest interview, Avner shares with us the challenges and excitement a diversified career has for an individual. How do you ask for a raise from 200,000 people? Tomer Avital worked in traditional media as one of the most promising investigative journalists in Israel. He decided to take the leap and become independent, leading his own crowd sourced and crowd funded articles, the most famous of them: "100 days of transparency". In this chapter, after receiving awards for his work and looking at his days of being employed as "modern slavery", he shares the price he pays for being independent.